The Cuba Library is a popular materials style library with the focus on bestsellers, nonfiction for personal use and homework aids. We endeavor to purchase all fiction and about fifty percent of the nonfiction books on the New York Times Bestseller List. • Board books for toddlers, picture books for preschoolers and easy readers for beginning readers. • Adult, young adult and juvenile fiction and nonfiction books. • Reference materials that do not circulate and are therefore always available. • DVDs for juveniles and adults. • Audiobooks on CD for juveniles and adults. • Magazines for juveniles and adults. We have one computer and one iPad dedicated for use as a card catalogs. 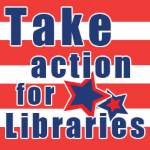 We have access to over 1.3 million additional items through the Southern Tier Library System (STLS). 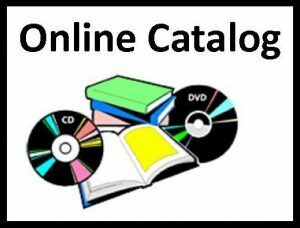 You can search StarCat to view available titles from nearly 50 libraries in our area and have them sent to the Cuba Library for convenient pick up. AND if you need a cake pan for a special occasion, we have a good selection to pick from, including these shapes: butterfly, cake pop pan, Carebear, cat, choo-choo train cutter, Cookie Monster, fire truck, flower, football helmet, heart, Hello Kitty, holiday set, 4 jack o’lanterns, 4 mounds, oval, purse, Scooby-Doo & Mystery Machine Van, Strawberry Shortcake, Super Mario, Teenage Mutant Ninja Turtles, 3 Tier set, Tigger, tractor. Pans may be checked out for 7 days.